Aaron Copland was a major American composer (1900-1990), pianist, and conductor. His music created a distinctive American style and includes concert, film, ballet, and other works. He achieved fame with his ballet scores, Billy the Kid, Rodeo, and Appalachian Spring, and his Fanfare for the Common Man is well known as a moving patriotic piece which is often played. Get to know this composer! El Salon Mexico was completed in 1936 and had immediate and wide appeal to audiences. Copland visited Mexico numerous times and incorporated Mexican folk music themes into the work. This thing rocks! The ballet, Rodeo, was first performed in 1942 and was an immediate success. 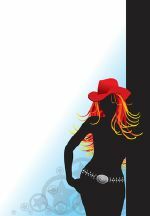 The story tells of a love-struck young tomboy, the "Cowgirl" who is very accomplished in all the skills of the cowboys. She falls for the "Head Wrangler," but he is unimpressed by her skills. Things change and he falls for her when she trades her cowboy outfit for a dress and shows a more womanly side at the rodeo dance. The "Buckaroo Holiday" movement opens the show and incorporates two cowboy themes in a spirited set of dances. A pioneer celebration in spring around a newly-built farmhouse in the Pennsylvania hills in the early part of the last century. The bride-to-be and the young farmer-husband enact the emotions, joyful and apprehensive, their new domestic partnership invites. An older neighbor suggests now and then the rocky confidence of experience. A revivalist and his followers remind the new householders of the strange and terrible aspects of human fate. At the end, the couple are left quiet and strong in their new house. Copland's Fanfare for the Common Man was written in 1942 upon a request from the conductor of the Cincinnati Symphony Orchestra for fanfares to serve as a patriotic opening to the concert season. Various composers submitted 18 fanfares. Copland's is the only one which remains in the standard concert repertoire. The work has been used by several Rock groups, including Emerson, Lake & Palmer, and The Rolling Stones.